With these words Sheikh Mohammed announced another plan to boost more and more companies in his city. How? Creating 27’000 jobs by 2030 aiming at becoming a city that produces as much as it sells, focused on self-sufficient. 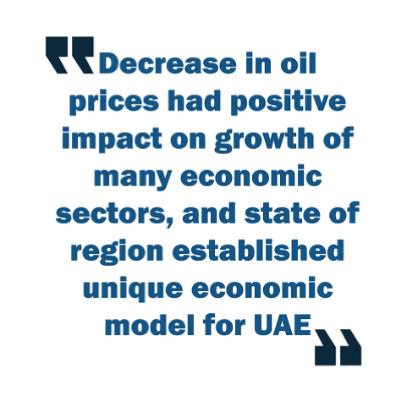 The industrial sector is expected to grow by Dh18bn by 2030 with exports forecast to rise by Dh16bn. Investment in research and development will also increase by Dh700 million. The strategy of the Dubai Industrial plan aims to develop and implement long-term industrial policies to enhance the competitiveness and sustainability of the industrial sector in Dubai and across its free zones. It identifies target industrial sectors and focuses on strengthening industrial integration – connecting the target sector with educational and research institutions to stimulate innovation and creativity with a view to developing strategic industries. In addition, it aims to create an attractive environment for these strategic industries. The plan has outlined 75 initiatives to help generate an extra Dhs160 billion in Dubai by 2030. In this historical EU moment, the UAE, one again, welcomes change and new challenges.